In addition to diabetes, hypertension, obesity, and vascular disease, there are other conditions that affect the kidneys and impact a person's quality of life. 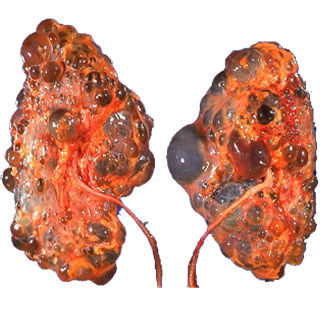 This post focuses on the high-level inflammatory syndromes, polycystic kidney disease, and the management of conditions that can block the flow of urine and prevent the kidneys from emptying completely. By now, you should be starting to understand the significant role that inflammation plays in kidney disease. There may be a difference, however, in the levels of inflammation associated with certain conditions. Different diseases can have different levels of inflammation. For example, cancer is associated with a very high level of inflammation. Certain kinds of infections and conditions like lupus and rheumatoid arthritis can also have very high levels of inflammation. The conditions discussed here, glomerulonephritis (glo-mair-ulo-nefry-tis), or GN, vasculitis (Vas-q-ly-tis), and the nephrotic (nef-ra-tik) syndrome, or NS, can be associated with very high levels of inflammation, as well. One characteristic of these conditions is that treating them often requires the use medications that can radically affect the immune system. For example, chemotherapy is often used to treat cancer. Chemotherapy-like medications that can "lower" the immune system response are often used to treat the debilitating forms of lupus and rheumatoid arthritis. Similar medications may be used for bad cases of GN, vasculitis, and NS; these can also affect the immune system. All three of these conditions are general categories that refer to a large group of many different conditions. This section focuses on general principles concerning diagnosis and treatment. If you recall, the glomerulus (glo-mare-ul-iss) is a tiny system of blood vessels and very small arteries that work as filtering units for the kidneys. Glomerulonephritis (GN) refers to any condition that causes inflammation of these blood vessels. The degree of inflammation can range from mild to severe. Sometimes, depending on what is causing the GN, other body systems can also be affected. In GNs mildest forms, there can be hematuria or proteinuria with little or only mild changes in kidney function. In its most severe form, people can have major hematuria or proteinuria, with very bad kidney disease (a very low GFR). They may also have edema and very high blood pressure. Many people will fall somewhere in between. In children and young adults, IgA nephropathy and poststreptococcal (strep-toe-kakkol) glomerulonephritis (PSGN) represent the most common types of GN seen. The latter can occur several weeks after a child has "strep throat." PSGN usually gets better on its own after several weeks with no extra treatment, and the kidney function stays normal or near normal. In adults, examples of GN again include IgA nephropathy and GN related to lupus - with other organs being affected. Depending on the person, their symptoms, and the result of blood and urine tests, your doctor may need to prescribe the types of medications mentioned earlier. Vasculitis refers to other conditions that can cause inflammation of the kidneys' blood vessels. As with GN, the inflammation can be limited to the kidneys or involve other body systems, as well. Examples include Wegener's (Weg- a- nur's) disease, in which the sinuses and lungs can be affected, and Goodpasture's syndrome, in which the lungs can also be affected. In the Nephrotic Syndrome (NS), a person will have significant proteinuria, but hematuria is usually not present. Another possible symptom is significant edema. There can also be abnormal blood work, including high cholesterol and triglyceride levels, as well as low protein levels in the blood. The low blood protein levels occur because the patient is losing so much protein in the urine (over three thousand milligrams of protein, with a normal amount being about 200 mg or less!). The body then begins to overproduce cholesterol, which is no longer being dissolved and transported properly through the system due to the lack of protein. In children, the most common cause of NS is called minimal change disease. In adults, common causes include focal segmental glomerulosclerosis (glo-mare-ulo-sklare-osis) (FSGS) and membranous nephropathy. Understand that there are many causes of GN, vasculitis, and NS, and that there can be significant overlap among the three. To find out more, you can check out Kidneys Diseases And Disorders.